Where as other photographers wait until they are home, I process most of my work on the move using the Macbook. I want this machine to continue on as long as possible and stay well protected from the riggers of travel in particular. Laptop bags are usually fabric based, sometimes sponge and I must admit I haven’t got on well with either in the past. 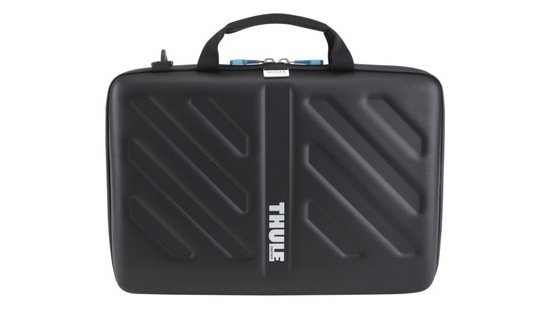 Enter Thule, that’s right, the manufacturer who makes those marvellous streamline roof boxes for your car. Confused? So was I, but now I am pleasantly surprised. 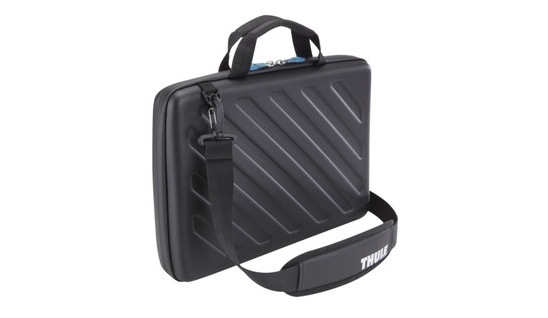 It’s brilliant - tough, superbly designed, smart looking and has just enough ergonomics for all those wires and cables. It retains anonymity and then on second look appears as it could be from the world of motorsport. Embossed rubbery / plastic construction, textured matt finish with strong double zips. It’s water resistant to say the least, without the sticky zips. Can you sense I am one happy traveller? Inside the 15” Macbook fits perfectly with stretchy band ensuring it stays exactly where it is supposed to be. With computer and cables on either side of the bookleaf, the cable compartment is not so generous, but once again well thought. This is high quality Swedish design, giving just enough space to fit chargers, USB leads, card readers and just a little more. Now the best bit – there is room for an iPad in the middle. 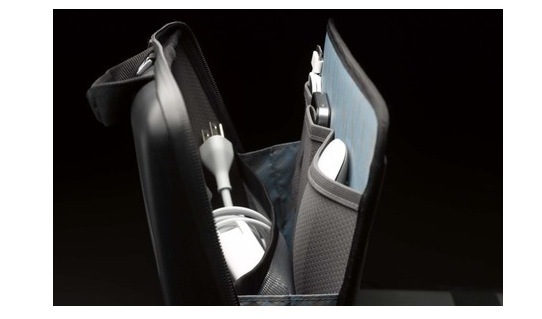 The bag was specifically designed to carry both, which is quite remarkable as when the bag is closed. On first glance, it is difficult to imagine all that technology inside. This is perfect as it remains low key, compact and also capable of the odd knock or two, which is going to happen in transit. The strap is comfortable and a sensible length, with good adjusters that are smooth and easy to position. If you need an easy access, everyday laptop bag for a 10 minute tube ride, to hold your paper life as well as your digital one, this isn’t it. If you like to accessorise beautifully, dreaming of a wireless future at Pret A Manger, over a half caff soya caramel latte, then this is not really you either. If you want a stealthy, robust almost waterproof bag to carry everything that is digitally precious whilst remaining fairly incognito – look no further. It’s a tough, well designed and wonderful to use, a compliment to that digital wonderbuzz we love from our phones, tablets and computers. Although a little short on additional space, I care not. It carries everything I need, remaining compact enough to duck under the check-in radar, on this occasion. It’s a little heavy when fully loaded (over 3kg with my 2011 MBP, iPad2 and all the leads) but I am used to the transatlantic pack horse feel, with the 17kg in the overhead locker. It will remain my #1 choice of laptop bag for the foreseeable future and all I can do is happily spread the word. Lastly - the price is around £69 - and you do get exactly what you pay for. 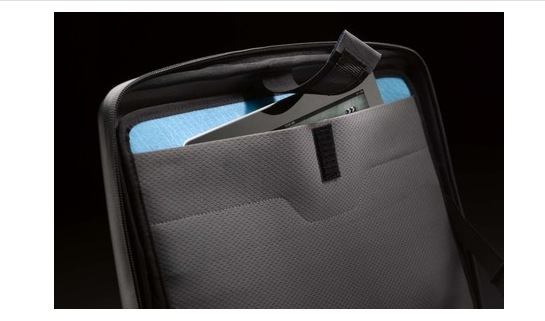 Think about what you have, with expensive contents inside it makes a lot of sense to rely on a bag that protects your computer and iPad from the rigours of everyday life. I look forward to seeing what else this remarkable and diverse company come up with next. 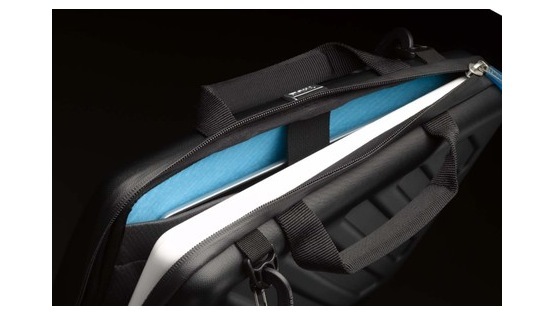 Check out my review of there camera bag, coming soon….